Kenneth Ward, the father of Scrambles Tournaments, which Blanchard viewed as “one of the greatest steps forward for the game,” served as the third APTA President from 1939-1942. Prior to taking over as president, he served as chairman of the association’s Publicity Committee, and his enthusiasm, combined with sales and promotional ability, brought considerable success to the game, and, by November 1941, the association had 21 member clubs. Blanchard considered him one of the best presidents the APTA had during the first two decades. (Manursing Island Club, Rye, NY). The Scrambles tournaments for which he and John Stephenson presided over the draw for many years, made it possible for everyone to experience a tournament victory, rather than it being the monopoly of a few star players. Ward remained an active promoter of the game as a member of the Apawamis Club in Rye, NY. After graduating from Hotchkiss and Yale, Ward went to work on Wall Street. His daughter, Susan Ward Graf, said her father always stressed that he was a financial analyst, not a stockbroker. In that capacity he wrote for the New York Post, and his financial newsletter was sent regularly to investors. According to another daughter, Robin, Ward went to his office faithfully, almost until his death from emphysema in 1976. Sports were a high priority. As a member of The Manursing Island Club and The Apawamis Club, both in Ward’s home town of Rye, New York, he could indulge his appetite for tennis, golf and swimming in the summer. Then he’d take up the game he loved, platform tennis, in the winter. In later years golf became Ward’s passion. The game was often played at Mohonk Mountain House, a Hudson Valley resort in New Paltz, New York, founded by the Smiley brothers. The brothers were close friends of the family. The Kenneth Ward Cup was established by Ward which, not surprisingly, was usually won by him. 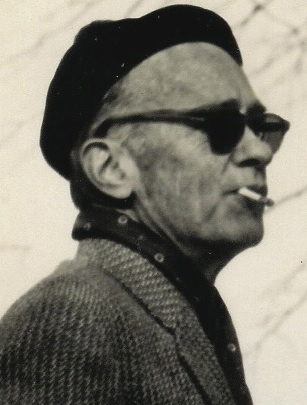 Ward had a lively sense of humor and enjoyed dressing accordingly. 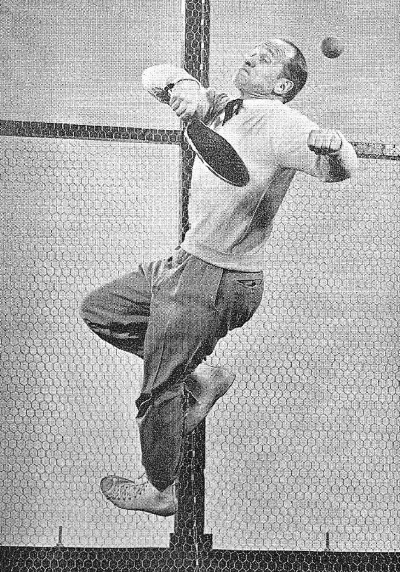 He was always an addition to the platform tennis scene even after he stopped playing the game. Ken Ward. Life magazine article on the game published in 1940. Ken Ward at Maursing Island Club, Rye NY.